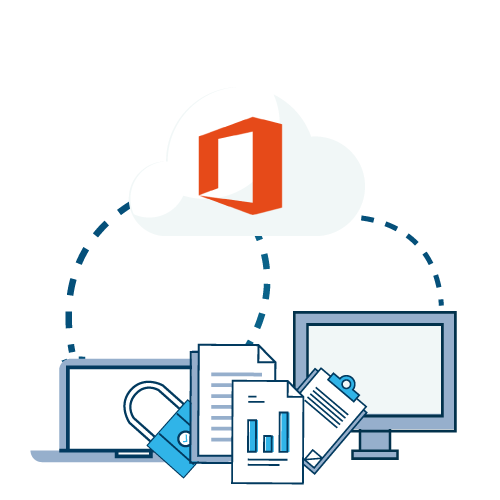 Avaelgo 365 brings together the benefits offered by the Peace of Mind for Office 365 & Microsoft 365 service pack and the multiple applications and flows ready to be used, that you can use to automate business processes within your organization. Imagine yourself on a usual day at work, during lunchtime. With the Avaelgo 365’s monthly proactive maintenance for Microsoft 365 suite and Office 365 contract, as well as the mini-apps included, you still have time to eat. Peacefully. Avoid confusion and clutter with the Vacation Request tool. Easily manage the vacation and time off requests process in your organization. You’ll have full visibility of all approved, pending, canceled or denied requests, while all employees can track their own requests. Control, track and report your company’s IT acquisitions effortlessly. Simplify your IT spend management with a seamless purchase tracking solution. Achieve greater visibility into your company’s IT purchasing by track IT purchases across your organization and report on your financial data with accuracy. Expenses controlled are expenses saved. Record your organization expenses – anytime and anywhere. Keep track of your expenses as they happen with Travel &Expense reporting in a very simple to use way. Collect the right expense data from employees and gain insights into your company’s travel spending and budgets.